Come and challenge yourself on the magnificent fairways of the Dunston Course in beautiful Norfolk. A spectacular course, a charming hotel and good company, will make this a weekend you won’t want to miss. With great tee times booked on Saturday and Sunday, we can certainly get the most out of the weekend! 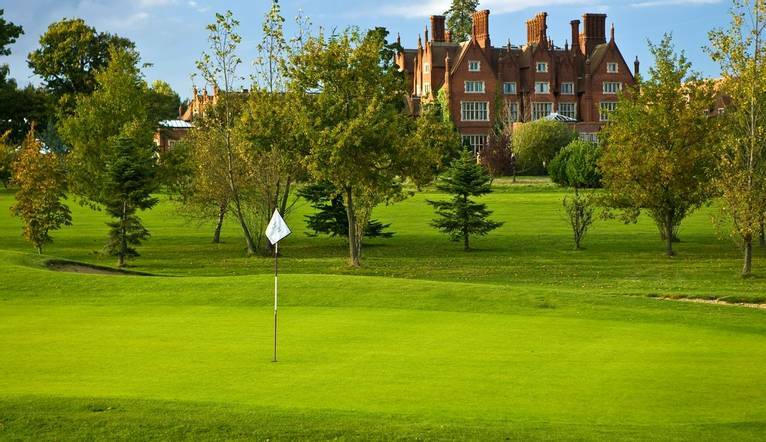 Just a few miles from the centre of Norwich and with a backdrop of the beautiful Dunston Hall mansion, our superb location makes for a great weekend of golf. Getting off just after 9.45 on Saturday and Sunday, this superbly designed course around the natural features of the estate is enjoyable and challenging for players of all standards as it winds through the beautiful wooded parkland. Lakes and strategically placed bunkers as well as plenty of natural perils keep the round varied and interesting. The par 4, 16th tee has been sculpted into the surrounding woodland so a drive into the trees adds a certain charm to the hole and a lay up to the edge of the lakes needs to be well-judged and good shots are rewarded. There is also a 22 bay floodlit driving range, putting green and short game area to help perfect your swing and loosen the shoulders. Built in 1859 this Elizabethan in style mansion has now been restored and features a backdrop of 150 acres of beautiful Norfolk wooded parkland. The hotel is located off the A47 just 10 minutes’ drive from the centre of Norwich. Norwich Station is approximately 4 miles away. Complimentary car parking is available at the hotel. Our hotel features a Brasserie Bar & Grill, Terrace Bar, leisure club with Spa, indoor swimming pool, Jacuzzi, steam room, sauna and gym as well as an 6,275 yard 18 hole, par 71 USGA rated golf course. Rooms are spacious and offer satellite TV, telephone, iron, tea/coffee-making facilities, hairdryer and free Wi-Fi. Dunston Hall is on the A140, Ipswich Road. From the M11 take the A11 towards Norwich. At the Thickthorn roundabout take the A47 towards Great Yarmouth, leaving at the next exit the A140 toward Ipswich. The Hotel is a mile further on, to the left. The hotel is 4 miles from Norwich Station in the centre of the city. 2 rounds of organised golf at Dunston Hall.